Few operators have launched commercial NB-IoT networks since the technology was standardised in 2016, despite the strong push from Deutsche Telekom and Vodafone. However, China’s operators are the exception. Backed by strong government support, all three operators claim to have rolled out the technology to tens of thousands of base stations. Developments in China will benefit the entire NB-IoT ecosystem, not least Chinese hardware and software firms looking to export to other countries. The Chinese government has been actively driving the development of NB-IoT. The Chinese telecoms regulator, the Ministry of Industry & Information Technology (MIIT), announced aggressive targets as well as guidance to promote the NB-IoT standard in June 2017 (see Figure 1). In accordance with the MIIT, all three Chinese mobile operators are investing heavily in NB-IoT networks and device/module manufacturer subsidies. They are also developing capabilities beyond connectivity to cover more of the value chain (Figure 2). Network roll-out NB-IoT across 346 cities. Commercial launch in selected cities planned for end of 2017. The first in China to achieve nationwide NB-IoT coverage in May 2017, with 310 000 base stations upgraded. Pre-commercial NB-IoT networks in selected key cities by November 2017. More than 300 cities are ready to be quickly activated for NB-IoT. Backed up by a consortium of investors including Internet players. Key verticals Automotive, smart cities, transport and logistics, consumer electronics. Smart manufacturing, smart cities, smart home, automotive. Smart manufacturing, smart cities, transport and logistics, retail. The steps taken by the Chinese operators should help the NB-IoT ecosystem globally. The Chinese networks are on a massive scale, which should help reduce prices and resolve initial problems. This should also benefit Chinese companies, such as Huawei, that are heavily involved with the technology, as they look to markets outside of China, as well as Chinese manufacturers and app developers. The network connectivity business depends heavily on scale to generate returns, and even Chinese operators, especially China Mobile, will see negative RoI from NB-IoT for years. The upgrade plans of the three operators are as follows. China Unicom also has an FDD-LTE network but most of its base stations operate at 1800MHz, which many existing modules do not support. Therefore, it chose to upgrade its 900MHz FDD-LTE stations first to support NB-IoT, such as its 900MHz network in Shanghai. China Mobile is building new base stations to support NB-IoT, as its existing TD-LTE network does not support the FDD-based NB-IoT standard and most of its GSM base stations would require extensive hardware and software upgrades. It has announced aggressive goals for its NB-IoT network roll-out with the initial phase including a reported 146 416 base stations.7 In total, it plans to build more than 400 000 NB-IoT base stations in 2017 and 2018. The operators are looking to diversify beyond connectivity, because all three are likely to offer similar pricing and coverage. Extra services may include vertical solutions, application development, system integration as well as enabling services such as platforms, hosting and security. China Telecom is developing one-stop solutions integrating smart appliances and smart home services with its partners.11 All three Chinese operators have built platforms and portfolios of enabling services, and can offer end-to-end solutions with the help from partners in key verticals. 1 For more information, see Analysys Mason’s China IoT market report 2018. Available at www.analysysmason.com/china-iot-market-rdme0. 2 Source: Caixing Global: www.caixinglobal.com/2017-11-25/china-mobile-to-invest-two-billion-yuan-on-iot-services-in-2018-101176272.html. 3 Source: Digit Times: www.digitimes.com.tw/iot/article.asp?cat=158&cat1=20&cat2=10&id=0000501946_wzjl97kk36q8x374wjodh. 8 AndMu is a smart camera developed by China Mobile. More details available at www.andmu.cn/. 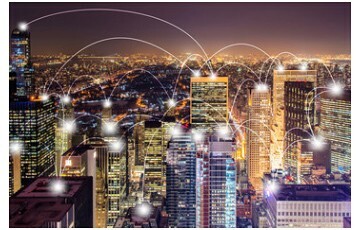 12 Source: IoT Business News: https://iotbusinessnews.com/2016/11/22/80140-semtech-lora-technology-enables-iot-services-chinas-largest-private-telecom-network/.